I participated in my first Hourly Comic Day yesterday. My effort is an excellent example of why Construction Paper Angst was never a hand drawn comic. I made another attempt at hourly comics earlier in the month. I’m not so sure about the digital lettering I did there, but my handwriting is not legible at all. Sigh. Oh well, the hourly comic project is really great and make sure to check the forums for a ton more people’s comics. 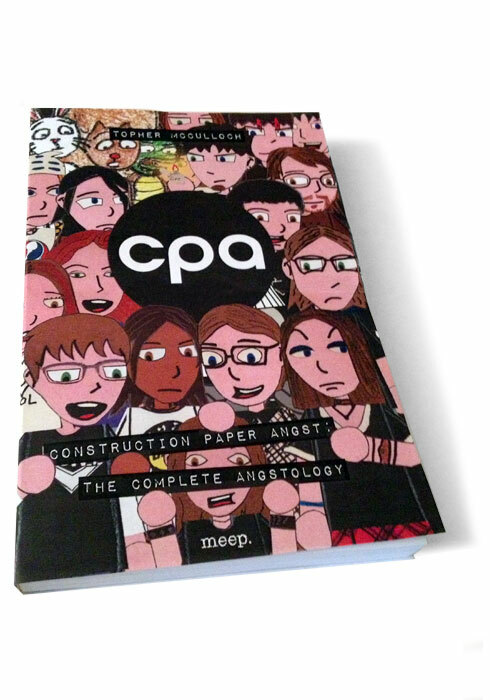 I have now completed going through the entire CPA archive and tagging and retitling the strips. 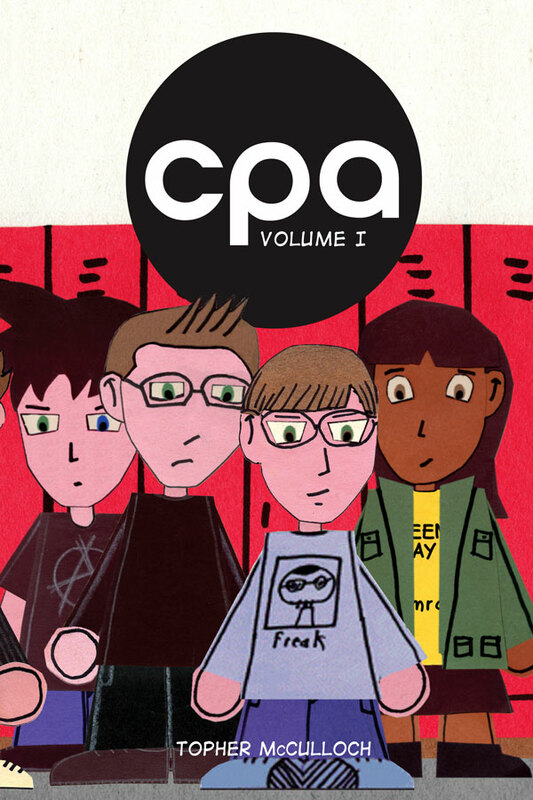 Diving into some of the early days of CPA v1 was terrifying to say the least. It was refreshing to see that some of the art and humor of the later strips did hold up. I don’t think I’m ever going to make “new” strips, but I do plan on doing some cleaning/restructuring of the archive. There are some outstanding typos and stupid graphic mistakes that I’d like to fix. I also think I might rewrite some of the story lines, cut out characters, and expand on some loose ends. I may even remove the Nethernet/Freakazoid/Evil Chimp/AW/PVP stuff altogether. I’ll see if that takes too much from the strip. I will eventually release the entire series in book form, though I can’t say I expect much in the way of sales. I just need to find the original high-rez Paintshop Pro files and see if I can open them in Photoshop. That will be fun.